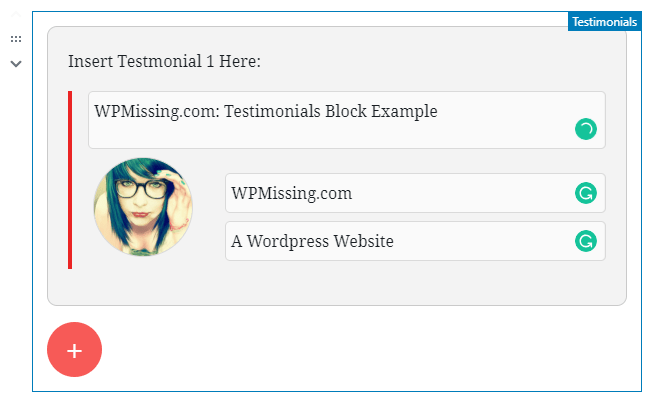 An easy-to-use and touch-enabled testimonials slider block for the Gutenberg editor that makes it simple to insert testimonials with custom text, author, and avatar into WordPress posts or pages. You’re allowed to create multiple testimonials in a block that the users are able to switch between the testimonials just like a slider. 1. 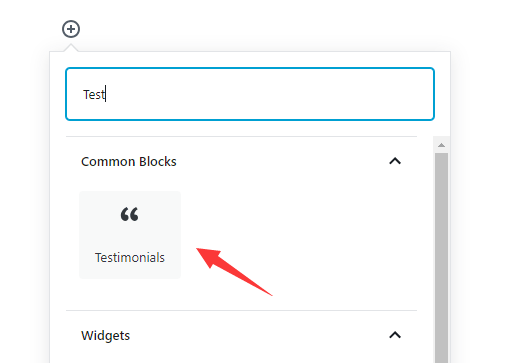 Install and enable both the Testimonials Block and Gutenberg editor on the WordPress website. 2. Create a new Testimonials Block. 3. Create the + button to create new testimonials.